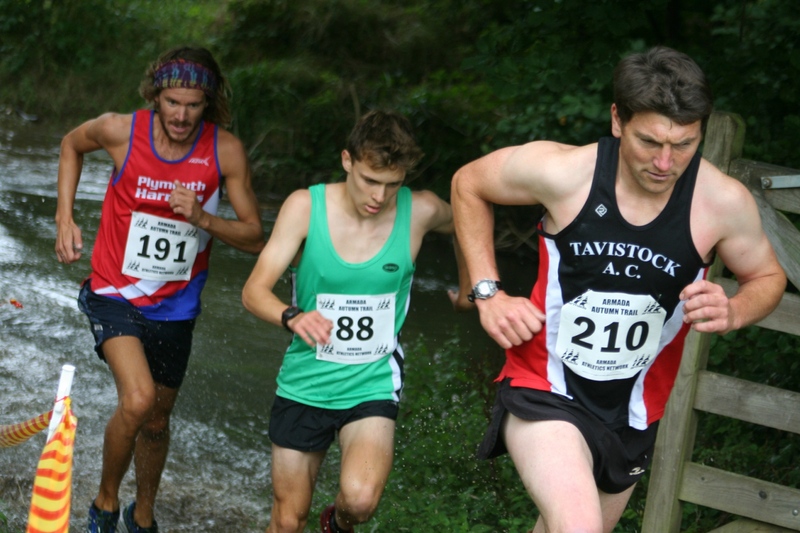 TAVISTOCK’S Jim Cole produced a strong display to claim victory in the Armada Autumn Trail Run at Newnham Park on Sunday. Cole saw off the challenge of Plymouth Harriers’ Jordan Andrews and City of Plymouth youngster Jack Williams in the off-road race, which is approximately seven miles. His winning time was 43 minutes and 56 seconds, which was 15 seconds ahead of Andrews, who was runner-up. Williams took third in 44.47, with Gareth Smith fourth in 46.40 and Erme Valley’s Andrew Norris fifth and first over-40 athlete home in 48.10. Tamar Trotters’ Rebecca Ezra was a clear winning of the women’s race. 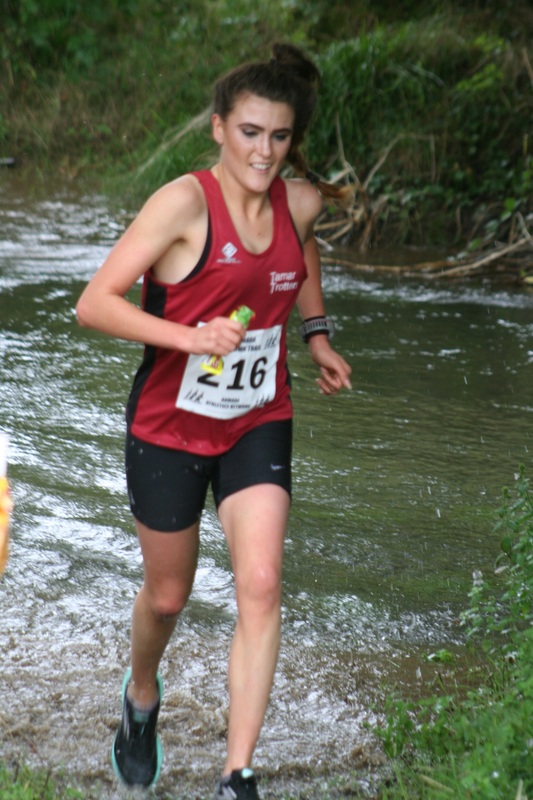 She finished four minutes ahead of her nearest rival, which was Ami Yetton of Plymouth Harriers. Ezra finished in 50.52 minutes, with Yetton coming home in 54.59 and Erme Valley Harriers’ Emma Lake third in 56.09. 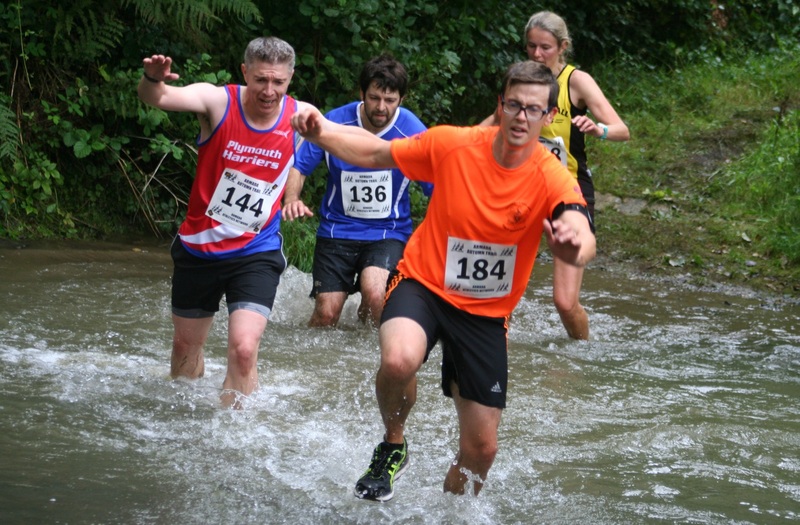 The race around Newnham Park involves a number of water crossings, which were quite deep this year. Despite the tough conditions, more than 200 runners finished the event. Bradley Stevens, 14, was first home in the fun run, clocking 10.03 minutes. Second was 12-year-old Joe Dix, who finished in 10.30, with fellow 12-year-old Max Davies third in 11.05. There was a good run by nine-year-old Evan Barnes, who was fourth in 11.17. Tilly McDowell, 13, was first girl and fifth overall in 11.21. Molly Reid (12.11) was second girl, while 11-year-old Anna Lake was third (12.49), having out-spirited 10-year-old Hannah Walker (12.51).